Out My Front Door: Hey Guys! Giveaway Coming Soon! Hey Guys! Giveaway Coming Soon! 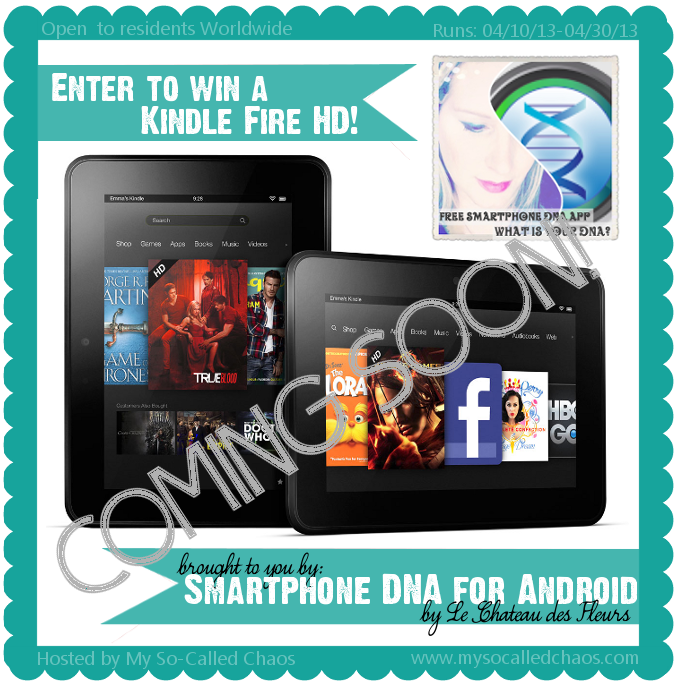 Isabelle from Le Chateau des Fleurs recently released a new Android app called Smartphone DNA, and to promote it she is giving away a Kindle Fire HD-which she is sponsoring entirely. The giveaway will be hosted by My So-Called Chaos, and will be posted on a ton of blogs! There will be TONS of ways to enter so get ready for this great chance to win an awesome product! Make sure to come back on April 10th to enter!